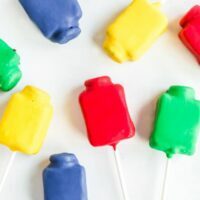 Fun LEGO cake pops are the perfect treat to serve your family! I’m proud to partner with Warner Bros. Pictures to bring you this cute idea! Our family is LEGO crazy. Our playroom alone can attest to our great love. So naturally, we are excited about the release of LEGO® Movie 2: The Second Part on February 8. Ryan, the boys and I absolutely loved the first installment. There were so many clever lines and fun touches throughout the movie. Ryan and I giggled the entire movie. 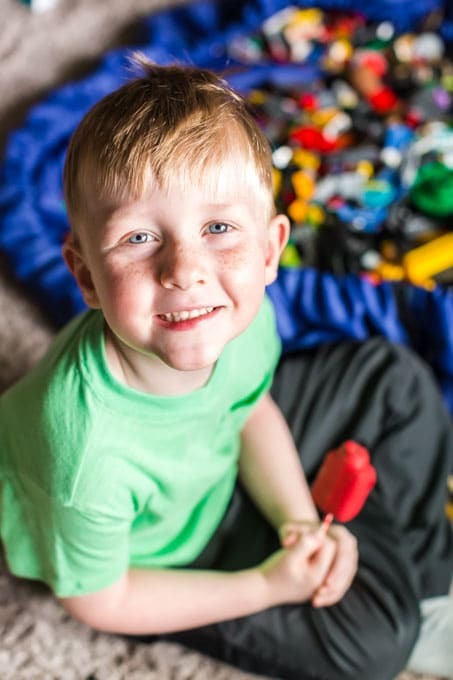 When I heard that LEGO® Movie 2: The Second Part was in the works, I couldn’t wait to watch together as a family. All our favorite heroes from Bricksburg will be reunited for this action-packed adventure. They must save their city! LEGO DUPLO® invaders from outer space are coming to wreck everything faster than it can be rebuilt. In order to restore harmony, Emmet, Lucy, Batman and their friends must travel to faraway lands in a strange galaxy where everything is musical. The new story will take us along as the characters courage and creativity is tested. In the end, I think we’ll find out how special they really are. I have no doubt it will become an instant favorite for all of us. I’m really looking forward to seeing it in theaters. I decided it would be fun to have a little LEGO-themed treat in anticipation of the big release. Thus, these darling cake pops were created! 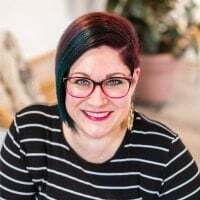 I’m excited to show you how I created them. Let me tell you, I made these little guys a few times before getting them just right. Start by preparing the cake according to the box directions. Once it’s cooled, break it up and place in a large bowl. Next, add 1/4 cup of frosting and mix with a handheld or stand mixer. You’re going to think that ¼ cup of frosting isn’t enough, but believe me it is. Especially for these. 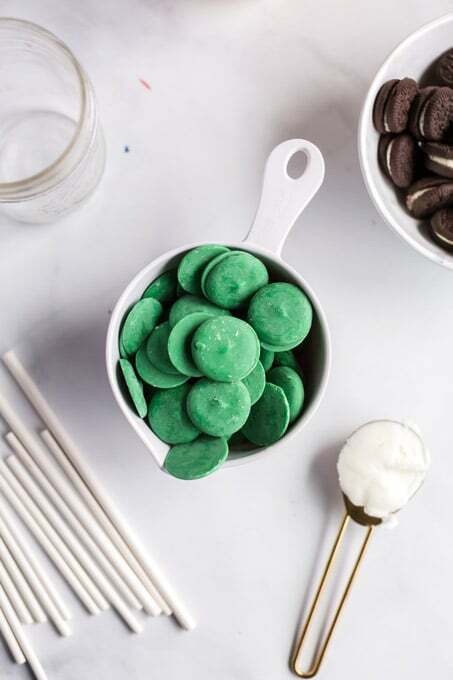 If you add more frosting, they will get really heavy, especially after dipping in the candy melts, and fall off the sticks when kept at room temperature. 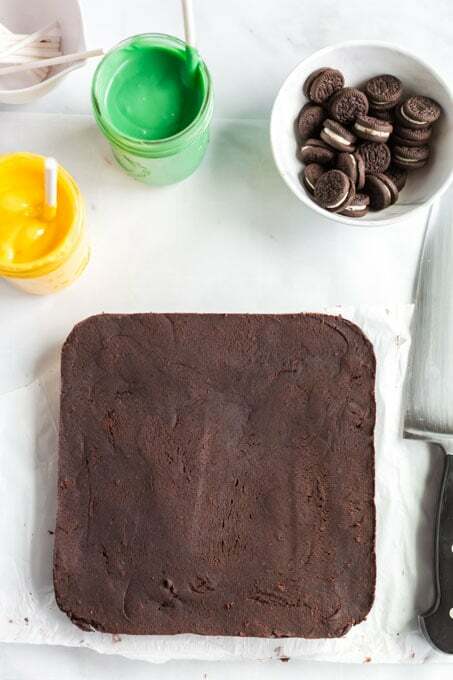 Line an 8×8 baking pan with parchment paper and press the mix into the pan. I use clothespins to hold down the sides of the paper. You could also use chip clips. Use a pastry cutter (or something else with a large, flat edge) and press down into the pan. Next, use an offset spatula to smooth the top of the cake pop mixture. Place in the freezer for 1-2 hours until set. Next up, lift the sides of the parchment paper up to remove the cake pop mixture onto a clean surface. For this part, you’ll want microwave safe jars. Mason jars work fantastic for this. In separate jars, you’ll melt the candy melts in your desired colors. I used red, yellow, blue and green. You’ll want to microwave in 30-second increments. Be very careful to stir in between each burst and be careful to not overheat. Be really gentle with the candy melts. They are finicky little things. If overheated, they will clump up, thicken and you’ll have a really lumpy outcome. I’ve even been known to burn them before. Full on, black. So, take it from me. Be gentle. The second time I made these, I added just a little bit of shortening to the colors so they wouldn’t be as thick. But I noticed that there were more air bubbles in it the coating, which I didn’t like so I left it out of the recipe. Now, you’re ready to prepare the cake pops. 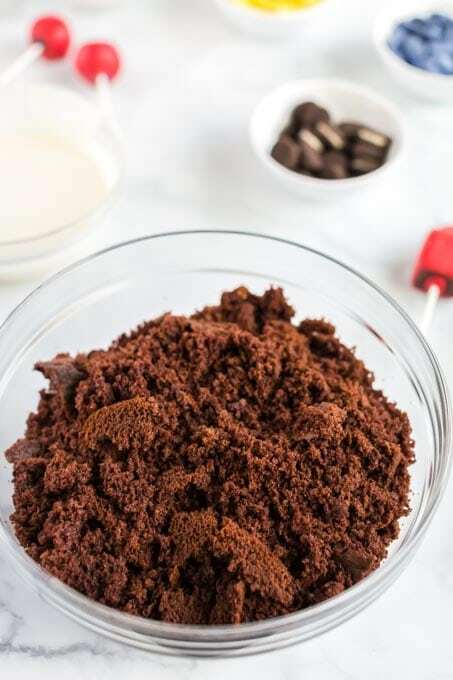 Cut the cake mix into 20 pieces. Gently reshape the pieces to be slightly smaller, fatter rectangles. Do this by pressing the tops down and the sides in until you get the desired shape. I found that the corner pieces were a little harder, so I left them out and enjoyed a snack. You’ll want to make sure it’s thicker than the mini sandwich cookie you’re going to stick on top. 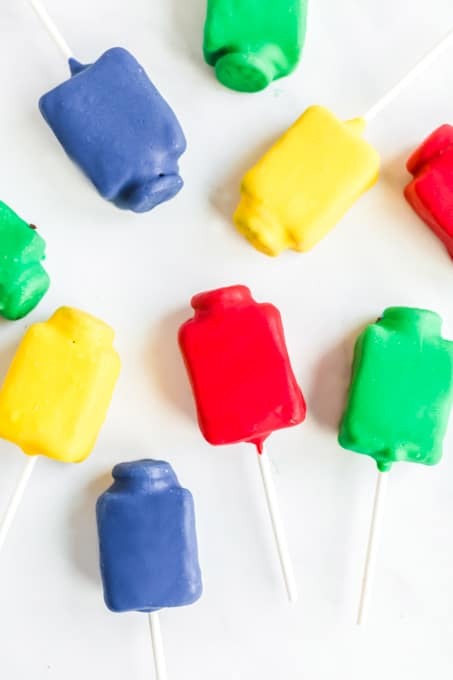 Push a candy stick in the melted candy and then press into the bottom of the cake pop. 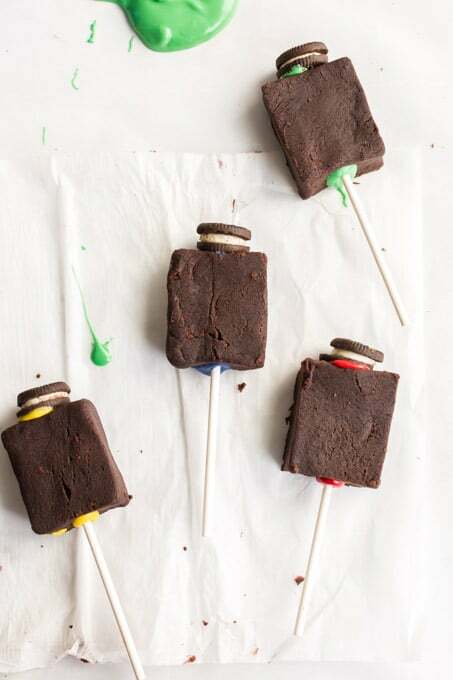 Take a mini sandwich cookie and add just a drop of candy melts to one side and then press onto the top. Once this set is complete, set aside on a pan lined with parchment paper. 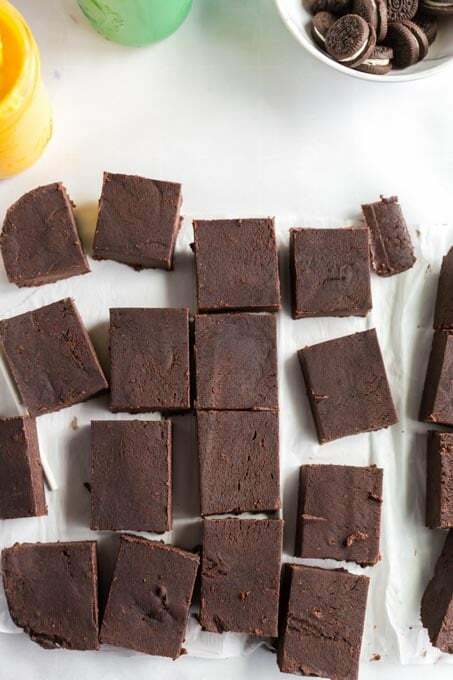 Once all are assembled, go ahead and place in the fridge or freezer for one hour. 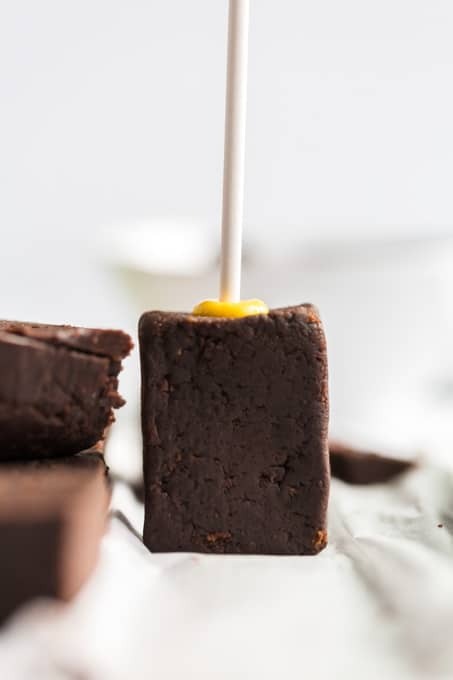 Note: if you put these in the freezer after you dipped them again, they will condensate as they thaw, creating water droplets on the outside of the cake pop. Leave at room temperature or place in the fridge once they are all assembled. Tick tock… once your time has passed, you can remove. If your candy melts got too hard while waiting for the cake pops to be ready, pop them in the microwave for just a moment. You’ll want to be really careful though or the consistency will change and ruin your cake pops. Now, gently dip each cake pop into the candy melts. Carefully tap on the side of the cup to let the excess candy drip from the sides, allowing the LEGO to form. Place back on the parchment paper to dry. Continue to repeat this process with each cake pop. You’ll want to let them sit until the candy hardens. Look how cute these little guys are. Be still my heart! Once they’ve set and are completely dry, you can place into individual bags and tie with string. We made these fun little LEGO Movie 2 character tags to place on each bag. Just cut them out, hole punch and tie them onto each LEGO cake pop. I’m confident your gang will love these little cake pops as much as we did. 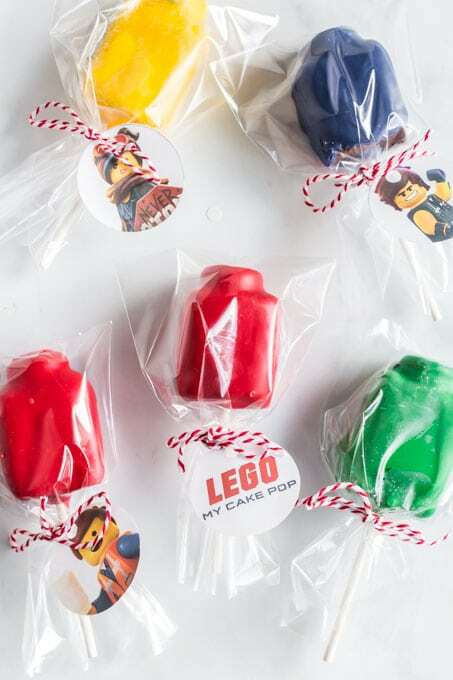 Such a fun, LEGO themed treat — as darling as they are tasty. The perfect dessert to enjoy as we anticipate the release of LEGO Movie 2: The Second Part, in theaters February 8. Enjoy! 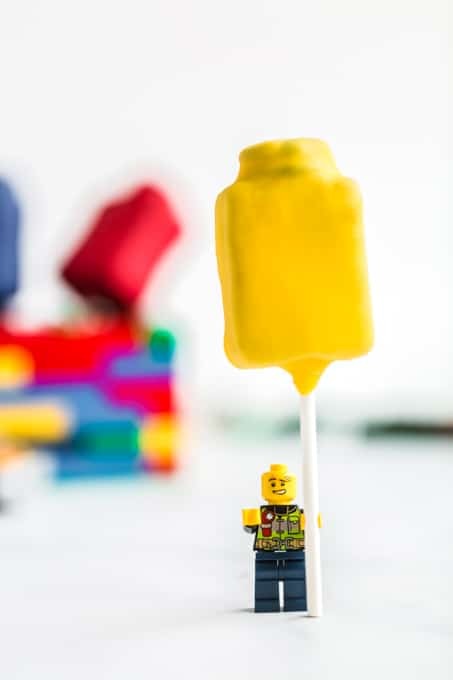 This fun treat is the perfect dessert for any LEGO fanatic! Once the cake has cooled, break up the cake and place in a large bowl. 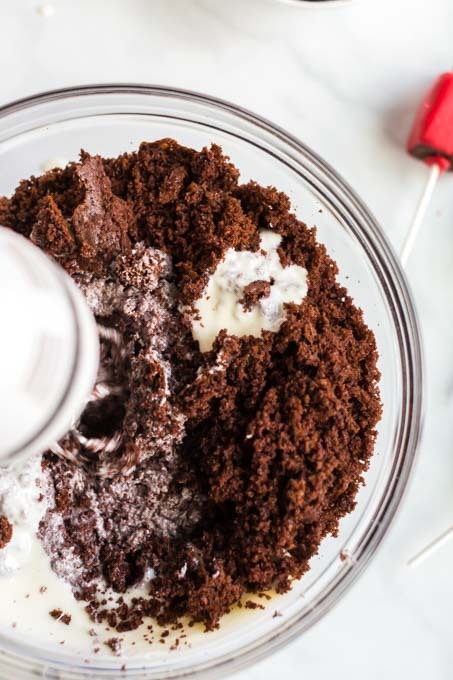 Add ¼ cup frosting and mix with a hand mixer (or in a stand mixer) until the cake starts to come together. Line an 8x8 baking pan with parchment paper (use clothespins to hold down the sides of parchment paper) and press the mix into the pan. Use a pastry cutter (or something with a large flat edge) and press down into the pan. Then use an offset spatula to smooth the top of the cake pop mixture. Lift the sides of the parchment paper up to remove the cake pop mixture onto a clean surface. In separate microwave safe jars, melt the candy melts. Microwave about 1 minute at 50% power. Remove to stir and return for 30 second intervals until melted. DO NOT OVER HEAT. Cut into 20 pieces. Gently reshape the pieces to be slightly smaller, fatter rectangle. To do this, press the tops down and the sides in and work until you get your desired shape. (You want to make sure it is thicker than the sandwich cookie you’re going to stick on top). Stick a candy stick in the melted candy and then press into the bottom of the cake pop. 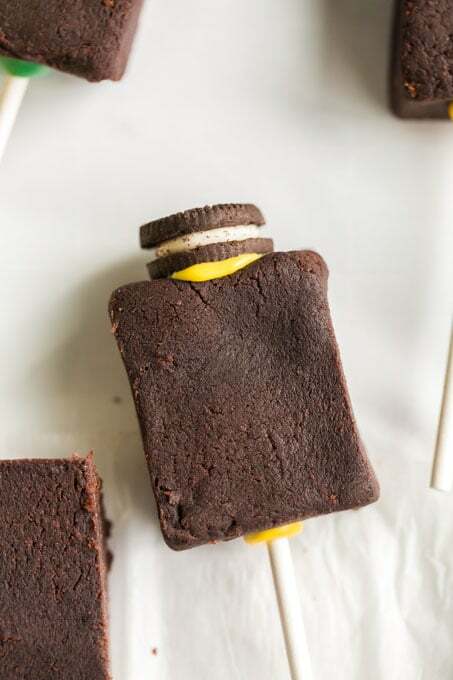 Take a mini sandwich cookie and add a drop of candy melts to one side of the cookie and press onto the top. Set aside a pan lined with parchment paper. Let the candy melts set. Once they are all assembled, place in the refrigerator or freezer for another hour. Remove from freezer. If necessary, re-melt your candy melts, but do not over heat or the consistency will change and will ruin the cake pops. Gently dip each cake pop into the candy melts. Gently tap the side of the cup to let the access candy drip from the sides, allowing the Lego to form. Place bake on parchment paper to dry. Repeat with every cake pop. Allow to sit until candy hardens. 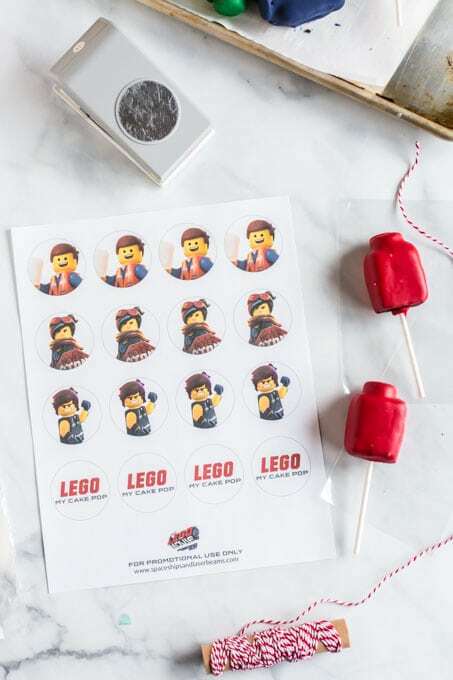 These are perfect for a LEGO party! 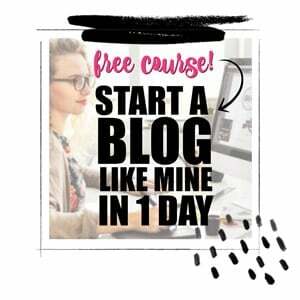 So easy to make as well.